Fabiana Frayssinet. Has been a correspondent since 1989 in Central America, and since 1996 in Brazil, where she served as a contributor for various international media outlets in radio, print and television, including CNN en Español, IPS, UNIVISION, Telefé de Argentina, Radio Suecia and Radio Nederland. The rescue earlier this month of 12 Venezuelan and three Colombian women from a prostitution network that recruits migrants in Peru is an example of the complex web where migration and human trafficking often involve victims of forced labour and sexual exploitation. Although Latin America produces just five percent of the world's plastic, it imports billions of tons annually for the use of all kinds of products, some of which end up in the sea as garbage. Despite progress achieved in occupational safety in Latin America, the rates of work-related accidents and diseases are still worrying, especially among young people, more vulnerable in a context of labour flexibility and unemployment. 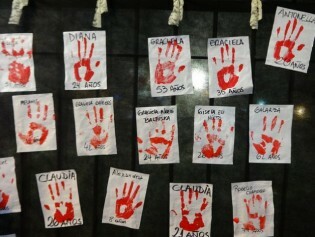 A "conservative and fundamentalist onslaught" in Latin America against a supposed "gender ideology" is jeopardising advances in the fight against violence towards women, feminist activists complain. The Tuxá indigenous people had lived for centuries in the north of the Brazilian state of Bahia, on the banks of the São Francisco River. But in 1988 their territory was flooded by the Itaparica hydropower plant, and since then they have become landless. Their roots are now buried under the waters of the reservoir. In Latin America and the Caribbean, which account for 12 per cent of the planet’s arable land, and one-third of its fresh water reserves, a number of factors contribute to soil degradation and to a rural exodus that compromises food security in a not-so-unlikely future. Organic agriculture is rapidly expanding in Argentina, the leading agroecological producer in Latin America and second in the world after Australia, as part of a backlash against a model that has disappointed producers and is starting to worry consumers.